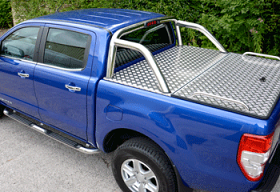 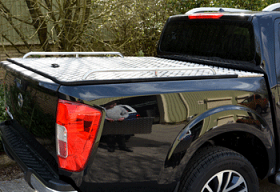 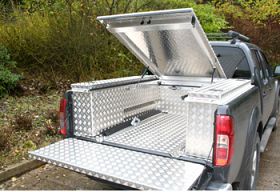 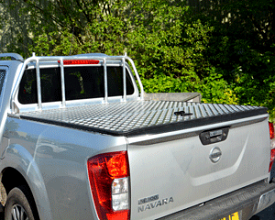 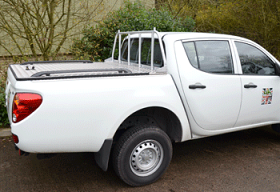 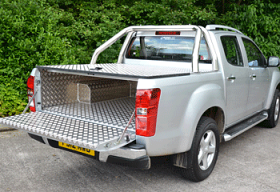 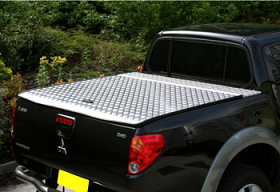 The Samson Aluminium Tonneau Covers are fabricated from 3mm Aluminium, either 5 bar tread plate. 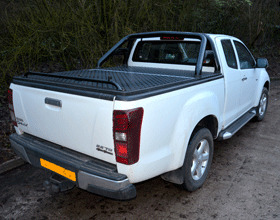 They lock down onto the pickup using a recessed T handle and Rod Lock System, which makes it very secure, when in the locked down position. 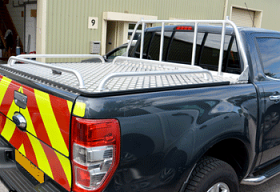 The Top is assisted with gas rams, making the top lift up effortlessly and pushes down with ease.